While we are the Oriental rug cleaning pros, we also clean any and every rug. 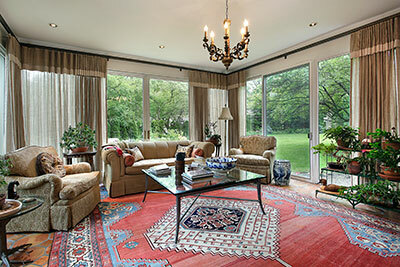 We clean Persian rugs, Chinese rugs, Indian rugs... You name it and we have the expertise to clean it. It's simply knowing what the rug is made of and how it was produced. Our 28 years of rug cleaning experience has shown us just about every type of rug that needs cleaning. We have potential clients call us every day wanting an estimate, but there are so many variables with rug materials, how they were made, the inks that were used and their current condition, that it's literally impossible to quote over the phone. That's the reason we offer a free consultation where we will stop by and examine the rug or rugs you have and provide you with a no-obligation quote. Then if you are agreeable to the price, we will have your rugs back to you, usually in around 7-10 days. Wool rugs easily count among the most valuable objects that a home can have and, as such, are worthy of the regular care and maintenance they need. Unfortunately, many home owners try to clean their wool rugs with little to no experience only to end up defacing carpet in some way. If you don’t know how to go about the task of cleaning a wool rug inside and out, you know it’s best to put down the rug cleaning rental machine and hire a professional cleaning company. We're a Florida-based rug cleaners with 28 years of experience providing cleaning services for all types of Oriental rugs, including those made from wool. We know the ins and outs of wool rug maintenance and can extend you a guarantee that your rug will be perfectly safe in our hands – our large base of satisfied clients can attest to the fairness and efficiency of our service. We have a very detailed procedure in place for cleaning wool rugs – after all, it's one of the finest and most expensive clothing materials known to man. No matter the state of your wool rug, we'll need to come to your house and do a complete inspection of it before giving you any predictions. On our way to understanding your rug, we'll take note of various factors like thickness, age, weaving technique and much more – by taking the time to know all aspects of your carpet, we can come up with the ideal cleaning method that delivers the most powerful results. With their bright colors and carefully thought-out shapes, area rugs are a real treasure in every home they decorate. Costly as they may be, the price is well-worth it for a priceless commodity that adds to your home’s value. Unfortunately, area rugs also bring no small amount of responsibility to a person's home. They are fine and delicate objects that can easily get stained and damaged – even the slightest sloppiness or inattention may end up causing major harm to your area rug. Pressure from heavy furniture, mounting dust and grime, constant foot traffic, an accidental liquid spillage—all of these take their toll on your rug and diminish its newness and beauty. What your (and every other) area rug needs on a regular basis is some deserved cleaning. Now, we know you'll be tempted to clean the rug yourself, be it because you’re a DIY enthusiast or simply because you’re attached to the rug and want to take care of it yourself. This is inadvisable, however, unless you're familiar with the inner workings of a carpet. Cleaning area rugs requires a very precise combination of finesse and efficiency – the cleaner must be both gentle and thorough. Hiring someone who knows all the tricks of rug cleaning is the best option if you want to maintain your area rug’s lifespan and quality. And that’s where Boca Raton Oriental Rug Cleaning Pros come in. As a team of professionals specializing in repairing and cleaning carpets and rugs for customers across a wide area, we'll know what to do and what to avoid when handling your area rug – count on our sophisticated methods of cleaning to leave your smaller rugs looking fresh and brand-new every time. These days, area carpets are thought of as essential commodities in a person's home. Spring and summer, autumn and winter, homeowners always seem to be scrambling to buy piles of these magnificently-woven creations to liven up their rooms. Buying a carpet is all well and good, but what about caring for it? You may think that your area carpet will last a long time because it’s tough and thick, but that doesn't have to be the case. Due to their purpose as objects constantly out in the open, area carpets can be exposed to heavy footsteps, bulky furniture and the constant stream of dust particles floating around a room. If you aren’t careful and neglect to have your carpet cleaned occasionally, it will continue absorbing dust, grime and other unsavory particles until it starts losing its 'vitality', becoming dull and bland. The best way to prevent this? Simple: regular carpet cleaning! Of course, cleaning an area carpet, especially one that is thick or wide, most likely isn’t your cup of tea. That's fine, but remember: without the occasional clean-up, your carpet probably won’t last nearly as long as you want it to. And even if it does, it still stands to lose its magnificent color and vibe. We at Boca Raton Oriental Rug Cleaning Pros would hate seeing your carpet go to waste – our specialized cleaning services are tailor-made to ensure your area carpet stays beautiful and fresh long after we're gone. We want to help you protect your investment, which is why we've designed our cleaning process in a way that leaves your area carpet both squeaky-clean and completely intact. Our staff have received extensive training in the art of carpet cleaning and, once you've placed your area carpet in our hands, we can promise tangible results without causing any damage whatsoever – for us, perfection is simply part of the job. The beautiful designs of area rugs help them serve a slightly different purpose than other carpets do – area rugs are meant to instantly add a whole lot of sophistication to any room they occupy (or even the house as a whole). Usually made up of a combination of synthetic fibers and wool or silk, area rugs require gentle treatment which sometimes gives way to cleaning difficulties. But a dirty and unclean look is far from the only issue that these lovely carpets face with the passage of time – they also tend to get damaged and require repairing as a result. 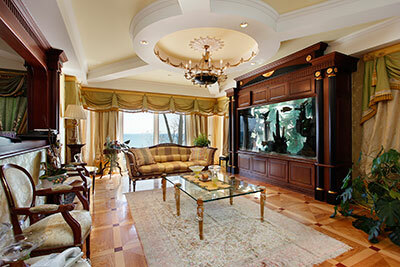 Our company goes beyond cleaning and also specializes in expert repairs of various area rugs. Since these rugs come in all sorts of different sizes and materials, our team will need to analyze your area rug before giving you a forecast. As we look, everything will be documented – this helps future reference and also eliminates customer dissatisfaction. When we do begin working, we'll use only tried-and-true methods and couple them with minimal use of tools – our team uses traditional hand-repairing procedures because of how gentle area rugs are (and also because they simply yield the best results). We have a history of successful area rug repairs under our belt – repairs that gave our clients pause in disbelief more than once. We're also professional-enough to work inside a schedule and make note of any wishes and desires that our clients might have. When asked to, we'll follow a client's instructions or even methods over our own, although we encourage clients to let us do our magic on their area rugs as much as possible. Area carpets are most commonly used to define a room's beauty and give it a particular look without putting in too much effort. They come in all sorts of different colors, shapes and sizes, as well as materials – this can make repairs tough. Area carpets tend to be sensitive and might suffer damage even when taken care of – this damage can destroy their charm and looks and eventually kill the whole point of using them. When your area carpets get damaged or lose appearance, you can count on Boca Raton Oriental Rug Cleaning Pros for help. We have the perfect staff to work with you and repair your area carpets with the utmost care and efficiency. Our staff is well-educated in various repairs and has the skills and talent necessary to mend even the worst-for-wear area carpets. If you have an area carpet in need of assistance, get in touch with us at any time during our working hours – we'll happily listen to all of your problems on the phone and schedule an appointment whenever works best for you. Count on our team visiting your house to analyze your area carpets without delay – also, our repairs are often finished much sooner than our clients could hope for, giving them back a brand new-looking carpet in no time. Our work on area carpets could reasonably be called outstanding: we work hard to keep our customers happy by delivering and it always shows in the great results you get. Once you're in business with us, rest assured that your damaged area carpet will become our priority and that we won't rest until you're satisfied. If you have a Persian rug in good condition, consider yourself lucky. These are some of the nicest rugs ever made, which is why demand for them is constant and prices can reach great heights. Part of the reason why Persian rugs are so sought-after is the sheer craft and finesse that went into every piece: as opposed to the modern churn-'em-out industrial method of rug manufacturing, each Persian rug took a great deal of effort and skill to make, and it shows. 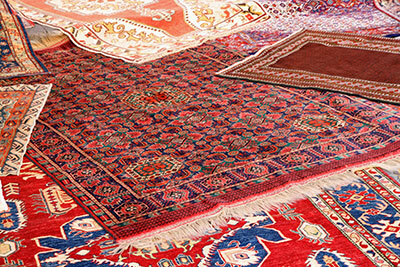 Unfortunately, due to their nature and status, Persian rugs are much harder to clean than regular household objects. Your Persian rug could be decades or even centuries-old, making it that much more fragile and prone to damage. Can you clean your Persian Rug on your own? Sure, you can try, and you might even get good results. But there's a bigger chance of you ruining some part of it, be it the texture, the dyes, the imagery or anything else that makes a timeless rug such. Instead of taking unnecessary risks, why not give your rug the royal treatment? Cleaning Persian rugs is one of our specialties, and we've cleaned countless rugs of this variety on our way to becoming an established Oriental rug cleaning brand in our community. We can't promise the exact outcome without inspecting your Persian rug first. What we can promise, however, is that no harm will come to the rug during the cleaning process and that it'll be much better-off after we're done – these are promises we keep, every time. Persian carpets traveled far to reach our homes and enrich them with a unique brand of aesthetics. Therefore, it wouldn't make sense to give them anything but the best treatment possible to ensure their longevity and maximize the shine. Make no mistake about it: every Persian carpet is a valuable commodity, and every owner would do well to protect his or her investment. As valuable as they are, Persian carpets aren't among the sturdiest of items – things like dust, mold and dirt can threaten to permanently ruin their appearance. Add to this the possibility of the carpet having received heavy traffic at some point during its existence, and it's not hard to see why Persian carpets need all the help they can get. That's not to say these carpets are of a poor quality, however. Just the opposite: Persian carpets are renowned for the amount of hand work that goes into the production of every piece. Every time you look at a Persian carpet, you're looking upon countless hours of effort by a skilled craftsman, which shows in the carpet's relative sturdiness – with the right care, Persian carpets will long-outlast their industrial counterparts while looking that much better. Coincidentally, the right care is what we're all about. We don't want to see any exquisite carpet lose its beauty, so we've made sure to perfect our cleaning method to a point where our customers can count on the best results every time. You don't have to know a thing about your Persian carpet or its history: all that matters is that you're willing to treat it well by letting professionals work on it. Everyone knows antiques are a serious matter. How could they not be? Every relic from another time acts as a form of time-traveling device, taking us back on a voyage of imagination every time we look at it. You can achieve this effect with a vase or some jewelry, but if you'd really like to drive the point home, you can't go better than an antique rug. Most often, antique rugs aren't seen so much as an acquisition as they are an investment. Why? 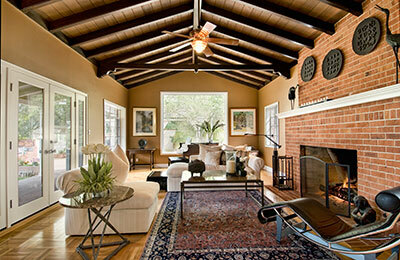 Simple: antique rugs not only maintain their value very well but also get more expensive with each passing year. Of course, nothing's perfect, and antique rugs require a lot more maintenance than the average relic to stay in good shape. And it's not just about the quantity of maintenance, either: everything you do to your antique rug should adhere to strict guidelines for dealing with rugs from that period and made from those materials. Confused yet? No worries – give us a call, and we'll handle every aspect of your antique rug maintenance for you. You don't have to become a rug expert in order to get a precious rug, but you should definitely consider having experts clean and maintain it – mistreatment of an antique rug can easily shave thousands of dollars off its value in a short amount of time. The antique rug might seem like a portal through time, but once damage is done to it, there's no going back – you'll either have to replace your treasured belonging or deal with the loss of visual appeal for what could be a long time to come. Take our alternative instead: let us clean your antique rug and enjoy a care-free ownership. In a sense, repairing an antique rug almost seems like sacrilege: who are we to tamper with the style and technique of the masters of old? True as this may be, there are plenty of cases where repairing an antique rug is a necessity. The advanced age of antique rugs means that they likely exchanged dozens of hands. Each of the owners had his own idea of how to treat the rug – while some were undoubtedly cautious and attentive, others likely treated the hand-crafted piece as little more than floor covering. As a result, many contemporary antique rugs have some form of damage to them that notably detracts from their appearance. The question is: how does one get them back into shape? We could run our brand on cleaning alone and we'd do just fine. Yet we feel that there's a distinct lack of quality rug repairmen in our community – people who can take a damaged rug and transform it into one of pristine appearance and integrity. Therefore, we're just as ready to extend our repairing services to all of our customers who might need them. Don't worry about the state of your antique rug – we promise not to judge. In fact, we probably won't even need to know how the holes or tears came to be – all we'll care about is repairing the carpet and restoring it to its former glory. Likewise, the extent of the repairs doesn't matter – from minor seam replacements to the patching of huge holes, we're always ready to bring your antique rug back to life. What's not to like about pets? There's nothing quite like coming home from a difficult day and seeing your furry companion wave its tail in joy or welcome you back in other ways. Unfortunately, animal behavior is difficult to explain even for experts, which is why one of those 'other ways' might be a stain on your carpets, upholstery or clothing. You might have dealt with the stain, but what about the odor? Pet odor is certainly notorious in its own right – it's a nightmare to deal with and can haunt home owners for what can be months. In fact, quite a few people feel that pet odor never truly goes away in cases of denser or more difficult fabric – press your nose and the smell will be there even long after reason would dictate otherwise. Well, we like to prove these people wrong one pet stain at a time. While we definitely agree there is little a home owner can do to subdue pet odor, our resources are much greater, and so is our knowledge – we can erase the memory of even the foulest pet odor in a relatively short amount of time. It doesn't really matter how the odor came to be, be it from pets relieving themselves or simply using a carpet as their towel – we'll eliminate every last trace of unpleasant odor and leave you with a clean and fresh smell that lasts. Likewise, the type of fabric also doesn't play a major role – from silk to cotton to wool and everything in-between, no case of pet odor can scare us off. 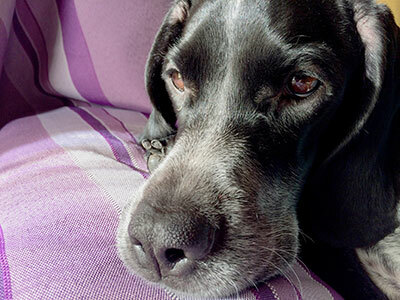 Everyone's always talking about pet odor – what they seem to forget is that every odor has its source. Most often, the source of the odor will be accompanied by an ugly stain that can be difficult to remove no matter the amount of scrubbing you're doing. Yes, pet odor is tough to remove, but pet stains can be just as deadly – they might not have the same area of effect, but they can stick around a lot longer than even the most persistent odor. In some cases, the home owner managed to successfully subdue a pet stain, leaving us with only the odor to do away with – in other, the odor is gone, but the stain still lingers. In general, though, we prefer treating stain and odor removal as a one-two, although each of them can easily be called its own service due to how methodical we are in our approach. We'll treat every pet stain no matter the fabric it's on and how long it's been there – likewise, we won't judge if you've left the stain hanging around for too long. All we care about is removing the stain in a timely fashion while preserving your fabrics and your health, and that's exactly what we'll do – our pet stain removal methods boast a tremendous success rate and we'd struggle to remember a case when a customer wasn't satisfied with our initial efforts. Don't punish your pets for being goofy – call us to deal with their stains and you'll forget you had something to be angry about. Although a blessing, water can cause a lot of problems if it seeps into unwanted places. It has the ability to ruin precious items in your house in a remarkably small amount of time: one such item is your precious rug. Every time you accidentally spill water onto the carpet, the excess moisture can cause fungus that tarnishes the rug's beauty and vigor over time. On top of introducing bacteria, when water soaks a rug for too long, home owners will often suffer from an unpleasant smell coming from the inner layers of the fabric and spreading across the room (and potentially the entire home as well). Clearly, this issue is not to be taken lightly: If your rug has sustained water damage, it’s time to call in the experts. Boca Raton Oriental Rug Cleaning Pros can help you restore your rug to its former grandeur and beauty in no time: our team of experts is trained to handle all sorts of water-related problems and we promise that your carpet will be blissfully-free of water's damaging effects once we’re done cleaning. Our cleaners start by identifying the source of the leak and cutting the water flow from this source. Following that, we get removing every last bit of moisture that's troubling the rug: while this can be partially achieved by basic tools like rags and cloths to dry out the surface-level water, we prefer to drain the moisture using sophisticated tools like dehumidifiers and steam cleaners. We also use disinfectants to remove any mold and fungus from your carpet, since the health of our customers is paramount to us. There's no doubt about it: the right rug makes for a beautiful home accessory that can brighten up the very essence of your room. Carpeted rooms are almost universally warm, cozy, cheerful and welcoming. However, you need to be careful and vigilant because area rugs are every bit as sensitive as they are magnificent. Time and exposure to elements like heat, dust and pressure from constant footsteps and bulky furniture can cause them to disintegrate and lose much of their appearance. Perhaps most commonly, the fabric of their lively fringes starts to collect grime and dirt, taking on a dull appearance – what your area rug needs in this situation is a good cleaning. ​Instead of trying to do the deed yourself and ending up in an even worse situation than before, it's better to call in a professional cleaning company like Boca Raton Oriental Rug Cleaning pros to do the job for you. We're a team of seasoned experts with no small amount of experience cleaning the delicate fringes of different rugs and carpets, and you can count on our cleaning methods helping you get rid of nasty stains that ruin your precious home decor. We'll remove those nasty stains coating the fringes of your area rug: these stains may include pet waste, food spills, weather damage and much more. 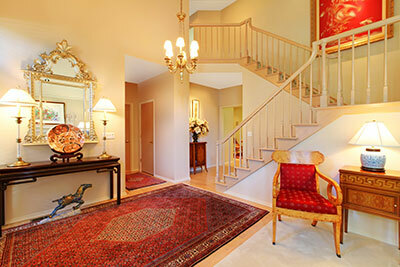 ​We've been working in our field for a long time and have never strayed from the top standards of rug cleaning. Our traditional yet thorough hand-washing methods are designed to protect your rug from damage and simultaneously give them a fresh appearance. We realize how much your rug means to you, so we'll make sure to treat it with the best possible care. Our vast experience in the rug cleaning business has given us a clear picture of what our customers need, and we'll have no problem meeting your expectations in their entirety. Area rugs are a great thing to have in every home and the exorbitant price of many pieces certainly attests to this. They're comfortable to walk and sit on, are lovely to look at, and brighten up the room by tying together all those beautiful pieces of decor you have on display. However, being delicate and sensitive, they can easily get damaged by heavy furniture, footsteps or accidents – the edges fray over time and all those neat fringes become worn out and tangled up. Without a doubt, this will be the end result if you don’t have your area rug fringes repaired periodically. The question is: do you do the job yourself or call in the professionals? Of course, you can read the manual and try to go about the task on your own. However, a DIY article will not teach you what years of experience would and you could end up causing even more damage to your precious rug. So why go through all that stress only to achieve results that aren’t even up to your standards? 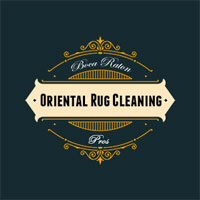 It's better to let Boca Raton Oriental Rug Cleaning Pros take care of your area rug for you. Based in Florida and working with rugs for a long time, we're proud to claim the status of the premier rug repair company in the area. Our trained professionals work with such skill and care that your rug not only looks new by the time they finish, but also promises to last a very long time. We use tried and true methods of repair that deliver every time – all you have to do is ring us up and let us give you the service you deserve, all with zero hassle! Sun damage is one of the biggest issues that rug owners face. You obviously want your beautiful rug to retain its looks for a long time, so fading colors are probably nothing short of a nightmare. Many home owners in Florida go through this problem: direct exposure to sunlight for extended periods can dim the bright colors of your rug, causing it to starts showing signs of "aging". Another major cause of discoloration is the use of strong chemicals like bleach for washing purposes. Furthermore, cleaning too often (either with water or a vacuum cleaner) can also contribute to the loss of color on your rug. Some colors fade more easily than others. For example, sunlight causes the most damage to shades of red while carpet cleaners, especially strong ones that are alkaline-based, can create having blue shades on the rug. A colorless and faded rug can lower the mood of an entire room, just as a bright rug can liven it up. We've been taking care of discolored rugs for a long time, so we know the ins and outs of all aspects rug care and can restore your magnificent accessory to its former beauty through expert dying and other color correction methods. Never try to dye your rug on your own as this can cause irreparable damage to it. At Boca Raton Oriental Rug Cleaning Pros, we use only rug-friendly solutions and dyes that restore the original colors without causing any harm to the rug. Also, we will take note of how the discoloration occurred in order to treat it in the most natural way possible. Rug padding is installed on the underside of your rug or carpet to protect it from damage and potentially extend its lifespan. You definitely want your beautiful and expensive rug to last as long as possible, and rug padding is the ideal way to do this. While you may consider the use of a rug pad an unnecessary expense, the fact remains that a pad adds an extra layer of cushioning to your carpet and protects it from seemingly harmless elements like water spills that are capable of extensive damage to a rug's material, fabric and colors. To select the best padding for your rug, you must be very mindful of the company you're choosing to buy from. There are dozens of mediocre rug pads available on the market: these will ruin your rug's materials over time. We've been providing top-notch rug padding services in the Florida area for a while: we have a lot of experience in the rug business and can handle every job related to caring for these objects, including padding. Like all of our services, our padding service is gentle yet thorough and we inspect and analyze every aspect of your rug before determining the type of padding that will suit it best. Of course, our professional team also helps perform the actual installation of the padding under your rug. With most rugs, this is done by taking full measurements and then cutting out a pad of a similar size. Next, we lay down both the pad and the rug in such a way that the padding grips the carpet in place and prevents it from moving around – after this, we're usually done and ready to leave you with a much-improved rug.